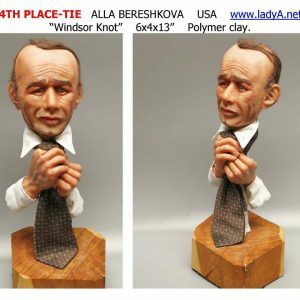 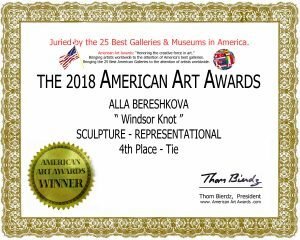 “Windsor Knot” – The 2018 American Art Awards Juried by the 25 Best Galleries and Museums in America. 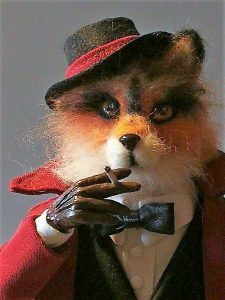 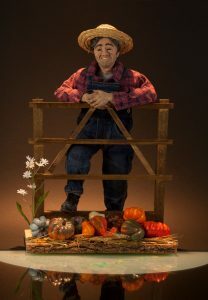 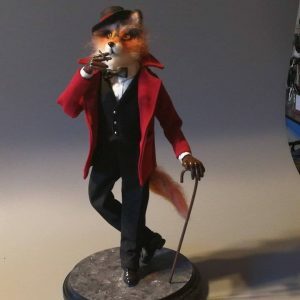 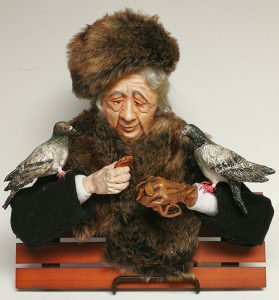 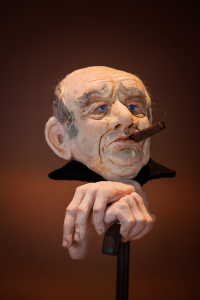 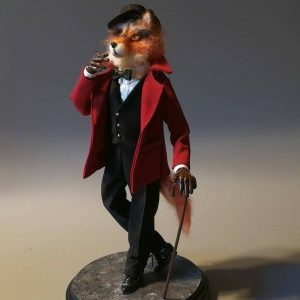 “Farmer Joe” became the winner of “Dolls of the Year” 2018 competition, Russia. 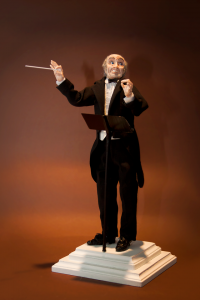 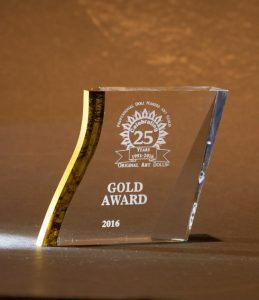 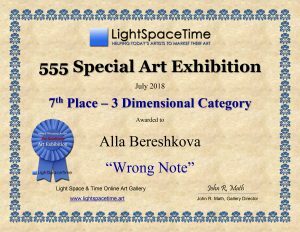 “Wrong Note” sculpture is one of the top winners of the Light Space & Time Contest in the 3 Dimensional Art category. 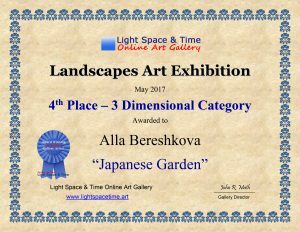 It will now be featured on the Light Space & Time art gallery website for the remainder of the month of July and August 2018 and thereafter will remain online in the Light Space & Time Archives. 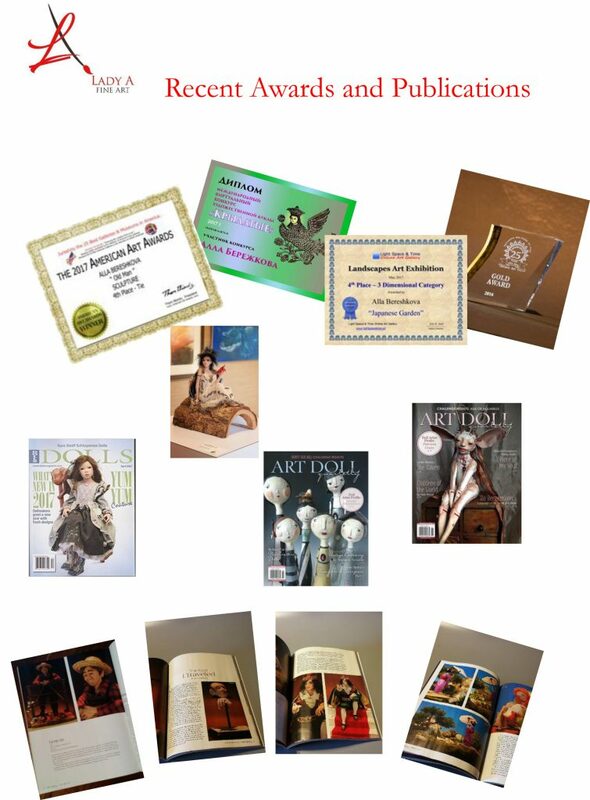 the Manhattan Arts International “HerStory” 2018 exhibition from June 20th to August 20th 2018. 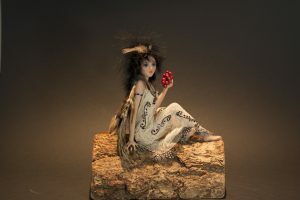 “Forest Creature” – selected by the juror into 30th National Juried Exhibition and was displayed in the South Cobb Arts Alliance Gallery, August and September 2017. 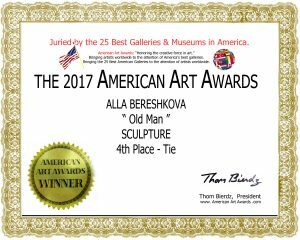 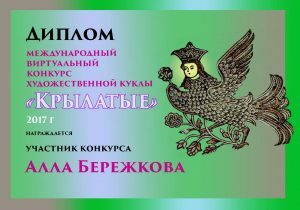 “Tenderness” became a quarter finalist in the “Winged Creatures” art competition in Russia, 2017. 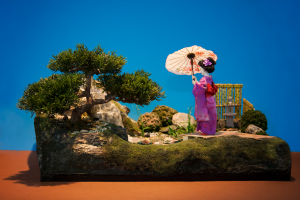 The composition is featured in “Art Doll Quarterly” magazine, Spring 2018 issue.